The Suncoast Tiger Bay Club invites you to join us for an evening of celebration as we mark 40 years in St. Petersburg. We look forward to a special evening of remembering the past and charting a course for the future on Thursday, October 11th. 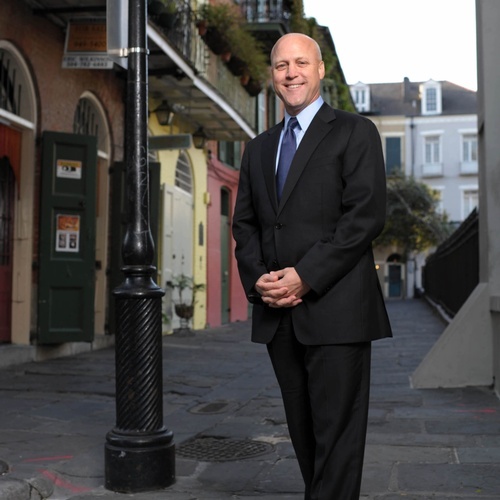 The featured speaker for this event will be Mitch Landrieu, former Mayor of New Orleans, and author of New York Times best seller In the Shadow of Statues: A White Southerner Confronts History. In his speech, Making Straight What Has Been Crooked: How Do We Tell Our History? Whose Voices Are Heard? What Role Does Politics Play? Landrieu will address these questions and many others. He takes on the mythologies that propel the alt-right movement and talks honestly about America’s original sin. As racial tensions have risen in recent years, the debate over the remembrance of a conflict more than 150 years ago continues to roil passions today. Landrieu turns his sights from Confederate statue removal to tackling the broader history of slavery, race, and institutional inequalities that still plague America. He cuts through decades of rancor and, without any recrimination, issues a sound verdict on the right thing to do. Landrieu believes New Orleans and its people showed the whole world they were able to acknowledge, understand, reconcile and most importantly, choose a better future for themselves by making straight what has been crooked and making right what was wrong.